At the current time, many issues and problems within sustainable urban development are managed within traditional disciplinary and organizational structures. However, problems such as, climate change, resource constraints, poverty and social tensions all exceed current compartmentalization of policy-making, administration and knowledge production. This book provides a better understanding of how researchers and practitioners together can co-produce knowledge to better contribute to solving the complex challenges of reaching sustainable urban futures. It is written for academic and professional audiences working with urban planning and sustainable cities around the world. Co-producing Knowledge is presented, by way of introduction, as a non-linear, collaborative approach to knowledge production which combines interdisciplinary, transdisciplinary, cross sector and policy approaches to societal problem solving. Examples are taken from Cape Town, Gothenburg, Kisumu, Manchester, Melbourne and a selection of cities in Southeast Asia. 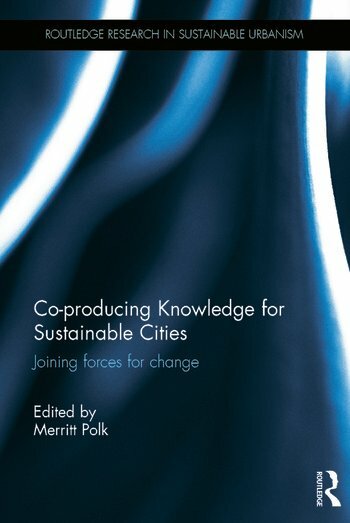 Each city chapter discusses the drivers and motivations behind knowledge co-production and gives concrete examples of activities and approaches that have been used to promote sustainable urban futures. Each chapter is written to promote mutual learning from the approaches that are already in use. Building upon these city cases, the conclusions outline an international practice and research agenda aimed at strengthening the promotion and implementation of the knowledge co-production for sustainability across diverse urban development contexts. This book provides an overview of the diverse driving forces behind co-production, and their specific contexts and constraints in a variety of cosmopolitan urban contexts. Some of these include institutional and cross-sector barriers to co-production, the need for learning across diverse levels and contexts, and strategies for balancing scientific excellence with the needs of societal change. This book offers valuable lessons regarding the concrete implications and potential impact that co-production processes can have for different user groups, such as planners, politicians, researchers, business interests and NGOs in different urban development contexts.